Using a home weather station can be fun and educational. For those in agriculture, boating, and aviation, using a home weather station can be a vital part of day-to-day life. Whether you’re reporting observations to local weather clubs or just keeping track of weather patterns for your own recreation, a home weather station is an important and informational tool to have on hand. Let’s look at some tips to help you get the most out of using a home weather station. Choosing a home weather station can be a bit of a task in this day and age — there are so many models and price categories available on the market. One of the best things to do before buying a home weather station is to decide what you’re hoping to get out of owning a weather station. Are you simply wanting temperature and barometric pressure readings? Or are you seeking wind data, rainfall amounts, humidity readings, and other info? Buying a wireless weather station always makes installation easier. 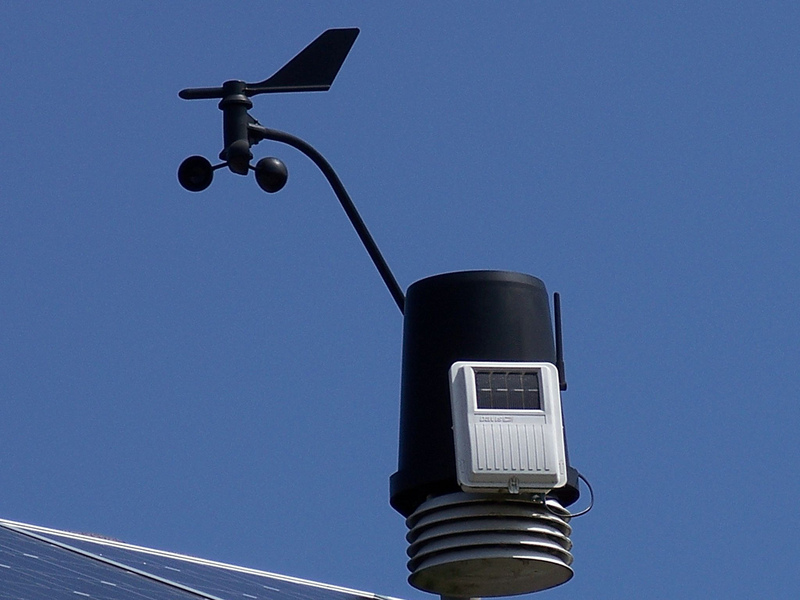 Some wireless weather stations can transmit data 400 feet or more. Plus, without cables, you don’t need to worry about stringing cables through walls, windows, or roofs. Expect to pay at least $30 for a good, basic home weather station which provides temperature and barometric pressure. If you’re after a weather station offering wind data, humidity readings, rainfall info, and more, get ready to shell out $150 to $200 and up. By the way, don’t go for the cheapest weather station you can find. That’s a sure recipe for buying a product that may not hold up to severe weather, last very long, or start failing without seeming rhyme or reason. Do your homework, read professional and user reviews, and buy the best weather station you can afford. When you’ve finally decided what home weather station to buy, next comes the installation process so you can start getting weather data! To get the most accurate weather data, you can’t simply install the weather station wherever you like. For all the reasons above and more, you must take special considerations when you finally go to install your home weather station. Tip #1: Don’t install an anemometer (wind sensor) too close to a roof line. Make sure the anemometer is at least 6 feet above the roof line. Otherwise, be sure the anemometer is installed in your yard at a distance of 4 times the height of the roofline. In other words, if your roofline is 15 feet high, and you install the anemometer on a post 5 feet tall, install the anemometer is at least 40 feet away from the house. Tip #2: Keep your thermometer in s shaded, ventilated area. You don’t want to install your thermometer in the full sun because radiant heating can skew temperature readings. Tip #3: Think twice before installing your home weather station on your roof. Aside from the risk if injuries when going up on your roof to install your weather station, you must also consider the issue of lightning strikes and creating a leak in the roof due to mounting hardware. *It may be wise to seek the advice of a professional roofer who can help you install your home weather station safely and without risk of opening up your roof to leaks. Tip #4: Ground mounting a weather station may be a good idea, but don’t forget to install the weather station properly. Consider a constructing a small concrete footer that will be able to support your weather station mast in high winds. Also, be sure the weather station mast is removable so you can safely store your weather station when the weather gets too rough and poses a risk of damaging or destroying your weather station. Tip #5: If you’re interested in tracking the weather data collected on your weather station, you might want to consider investing in a desktop weather program. Many home weather stations are now sold with a desktop weather program. 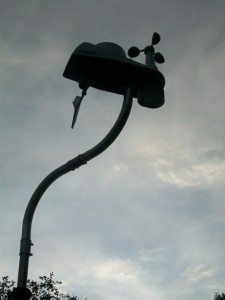 These can be used to not only track and store weather data on your home computer, but they also are helpful in sharing the weather data you collect with others.